Stores of the future will be much smaller in size and lesser in its footprints but the stores would be more impactful and powerful. Retail trends 2019. One common question that everyone keeps posting at me is “What are upcoming retail trends and brands to watch out in 2019?” . So here I am penning down my views on retail trends in 2019. (I am taking a global perspective since there is a lot that the Middle Eastern retailers & mall owners could learn from our western counterparts). 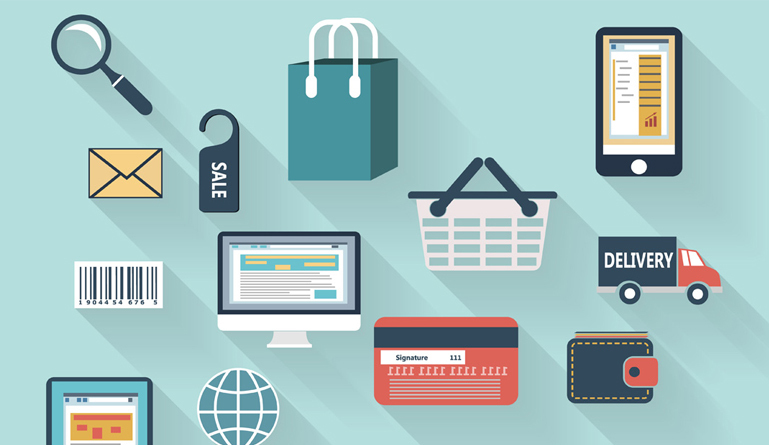 According to Google, 75% of shoppers are more likely to visit Brick & mortar stores if they find helpful local retail information in online search results. In fact, some of the biggest players in the industry are spending billions of dollars to remodel their existing shops, hoping to lure customers inside with more modern fixtures, easier checkout options, and online order pickup kiosks. Today, If you ask any big brick & mortar Retailer as to who is their biggest competitor, the answer would be undoubted “Amazon.com”. The real fact is actually that, Amazon.com is itself investing heavily in its own real estate and opening stores ranging from its cashier-less “Go” convenience shops, novelty “4 Star” locations and bookstores. It’s also shaking up the grocery industry with its acquisition of Whole Foods, pushing companies like Kroger to think outside the box. Those of you don’t know about retail brand Kroger then let me enlighten you by saying that Kroger is the biggest supermarket chain by revenue in the United States of America. Stores of the future will be much smaller in size and lesser in its footprints but the stores would be more Impactful and powerful with limited assortments and would provide an online experience which would carry the entire merchandise mix. In a recent news, brands like Ikea, Target, Kohl’s and Macy’s — are shrinking their existing full-size stores or experimenting with opening up smaller-format locations in densely populated markets such as Manhattan, Los Angeles, and Chicago. Ikea is experimenting with his new concept called “Planning studio” wherein shoppers can pick out items they want to be delivered to their homes. It will offer lower-priced shipping and delivery for city dwellers, in addition to assembly services, help with financing and a buy online & pick up in store option. As an online retail terminology, wherein its digital marketer’s nightmare to reduce the bounce rate of their website, the same trend is seen coming into physical retail wherein brands want to engage its customers and want them to increase their dwelling times in-stores. Hence you would see the concept of cafes, lounges, and co-working spaces entering into the physical department stores. Brands to watch out in 2019. It’s my personal favorite as well. 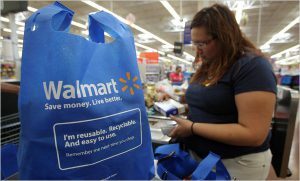 I had written a case study in my previous article on Walmart and Innovation which forms its core DNA. Click here in case you want to know more about Walmart. 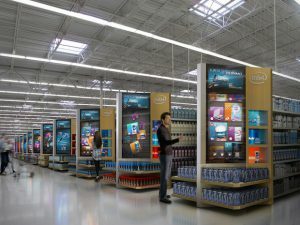 Walmart is remodeling its 500 odd stores with self-checkout kiosks, better assortment keeping the promise alive i.e. every day low prices. The retailer has recently rolled out a new app, called “Dotcom Store,” that gives its employees the ability to order items on the spot for shoppers when they can’t find something on shelves. That’s what I call innovation in providing its customer a reason to shop at Walmart. Experimenting its new concept of Omni retailing with “ Planning studios” would be an interesting thing to watch out. The retailer is already creating waving reviews with the introduction of AI-based machine learning systems and providing a user-friendly Augmented reality app for its consumers. In the midst of the so-called grocery wars, discount retailer Aldi is spending $5.3 billion in the U.S. over the course of five years to build roughly 800 new stores, remodel older ones and stock shelves with new items. By 2022 and with 2,500 locations by then, Aldi is expected to hold the title of the third-largest grocer in the country by store count, trailing only Walmart and Kroger. Aldi’s goal is to increase fresh food in stores, selling more organic options. I had written a case study on Primark earlier, click here to learn more. 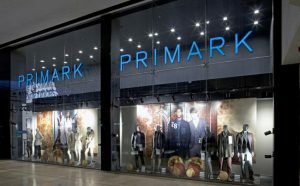 With 161 UK-based stores, value-oriented fashion retailer Primark is driving its international store network across America and Europe, as well as investing in its customer experience and service. I would like to thank all my readers’ compliments of the season and Merry Christmas.